(CNN) - Two veterans in a Veterans Affairs psychiatric facility languished for years without proper treatment, according to a scathing letter and report sent Monday to the White House by the U.S. Office of Special Counsel, or OSC. No way. This just started January 21, 2009. How much was the war in Iraq , how much did the American embassy cost in Bagdad , how much is the budget for the Veterans administration ? How many refuges migrated to the USA and other countries do to the war in Iraq ? I agree! Faux "News" says this is Obama's fault, so it must be true! OK CNN, always the bearer of negative news. I think we all know now how bad the VA has operated but why wasn't this neglect brought out years ago? I think everyone understands that the VA system has many more Veterans to attend to now that two wars are ending. Congress needs to appropriate more $$$$ to improve the system, hire more healthcare professionals, update records system, etc..
OK CNN, always the bearer of negative news. I think we all know now how bad the VA has operated but why wasn't this neglect brought out years ago? Because just like all the other hair on fire issues the reds had a hand in creating and now wail about, it only matters when there is a Dem on whom to blame it. The VA has been in bad shape for over fifty years. Bush and Obama have dumped more money into the VA then any other presidents in history. So, if your blaming the VA`s problems on Bush or Obama your pretty much full of crap. All you have to do is look at the way the VA has handled medical treatment for veterans to see what Obamacare has in store for the rest of us. bush and cheney had a hand in this.. they also sent our soldiers into Iraq without the proper equipment... just like the Bush tax cut..which was timed to create havoc for the next person in charge.. Congress bares the blame..they control the purse strings and many of them have been in office much longer than the President... Since bush /cheney are out.. Congress needs to be held accountable.. 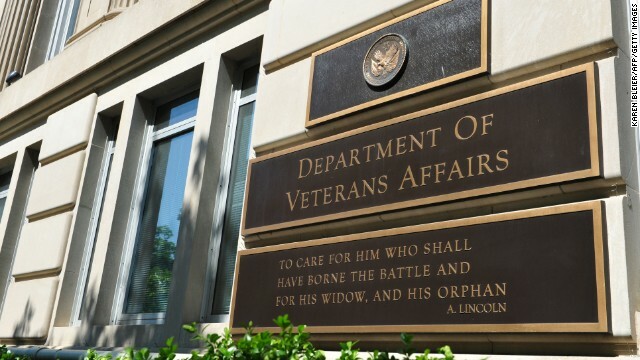 This comes a no surprise to anyone that has had dealings with the VA. The VA has always been the medical care of last resort. I am confused. The POTUS and VP were to blame as long as they were republican but now that they are democrats we blame congress? Why teh different blame line? Were there laws changed hat took the responsibility away from congress while the republicans were in office and returned it ti congress when democrats held the office?